We specialize in carrying a diverse catalog of mounting hardware for any situation. 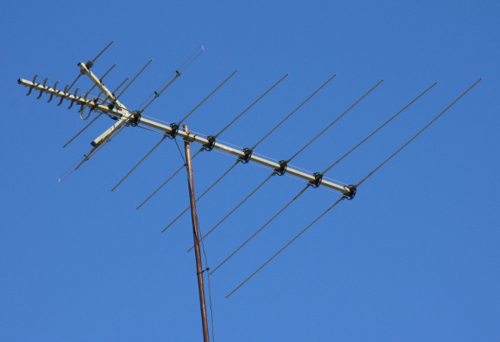 Mounting hardware helps to get your antenna up high where signal is stronger. We carry one of the widest selections of mounts for almost any application. Wall mounts are sold in pairs, to brace the mast to the side of a building. We sell wall mounts with zero clearance, all the way up to 24 inches of clearance. Chimney mounts consist of two straps that adjust like a belt to secure the mast. The benefit of a chimney mount is that the it’s usually the highest point on the roof. It’s almost one of the sturdiest mounts we sell. Definitely the most versatile mount we carry. The J-mount has been made popular by its use in satellite installations. To those under ruling a Home Owner’s Association, this low profile mountmay be your only choice. For the user who doesn’t want to put a single hole in the roof. The NPRM’s are for flat roofs generally, and require a pitch pad to be laid underneath. These are weighted with concrete blocks and are popular for commercial installs. Have questions about mounting? Let us help you plan your summer project. This document is available in PDF format with clickable links! Click here to download!